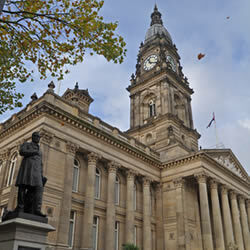 Under a renewed outsourcing contract, Fujitsu provides IT support, maintenance and management services across Bolton Council’s infrastructure. The deal also involved migrating 60 of the Council’s IT staff to Fujitsu. Services include desktop, help desk and service desk support, server and network management, and systems development and implementation. Fujitsu also manages the Council’s Oracle Enterprise Resource Planning (ERP) system. “Fujitsu was key to providing our Oracle environment, which has transformed our back-office services,” says Mario Devargas, IT Director, Bolton Council.